Yesterday was a good day. I started the day off right by heading to the gym to hit the treadmill for some fartlek training. Fartlek is interval training where you adjust speeds throughout your run, which challenges your internal functions to keep up as they are in charge of making major adjustments when varying from slow, to fast, to moderate paces. I varied my run from a moderate paced run, to a slightly uncomfortable pace, to a sprint, then recovered for 1 to 1.5 minutes before starting it all over again. This constant change in pace means a constant change in heart rate. Research shows that this type of workout can also speed up the metabolic process post-workout, which means more calories burned throughout the rest of your day post-workout. I don’t feel comfortable going further into the science behind “fartlek” runs, because I am certainly not an expert, but I do know these types of runs can be very helpful when training for longer runs. They tend to keep me very entertained during runs as well and make the time fly by. After the run, I hit up a few arm weights and core strengthening, then headed out to run a bunch of errands. I think I found a bath mat for the new bathroom downstairs that I’ m going to keep. The bathroom is 95% done! I also tackled more laundry, stopped at the library to check out two books for my upcoming trip (!! 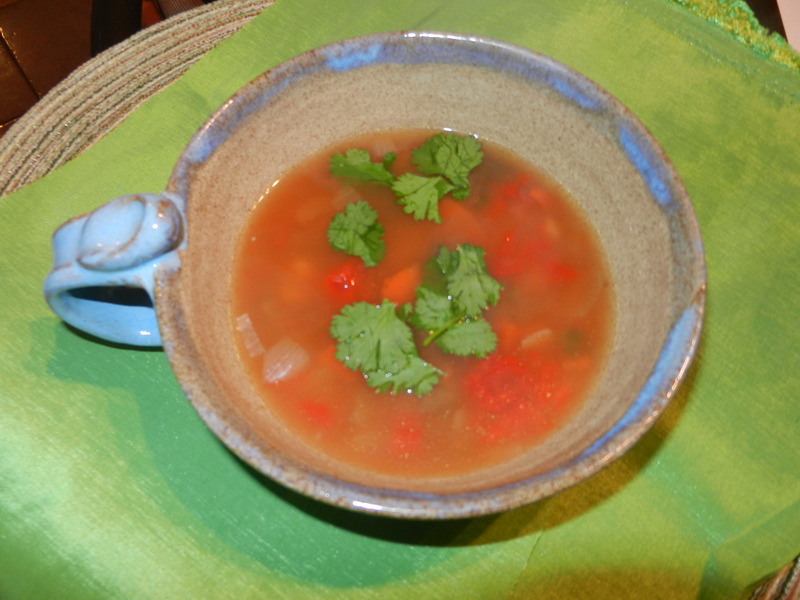 ), cleaned up the house, put photos in frames, and cooked a big batch of 32-bean soup for dinner. The other day, I had a hankering to bake and a chocolate craving. What’s a girl to do? Why, head to the kitchen of course and get busy. 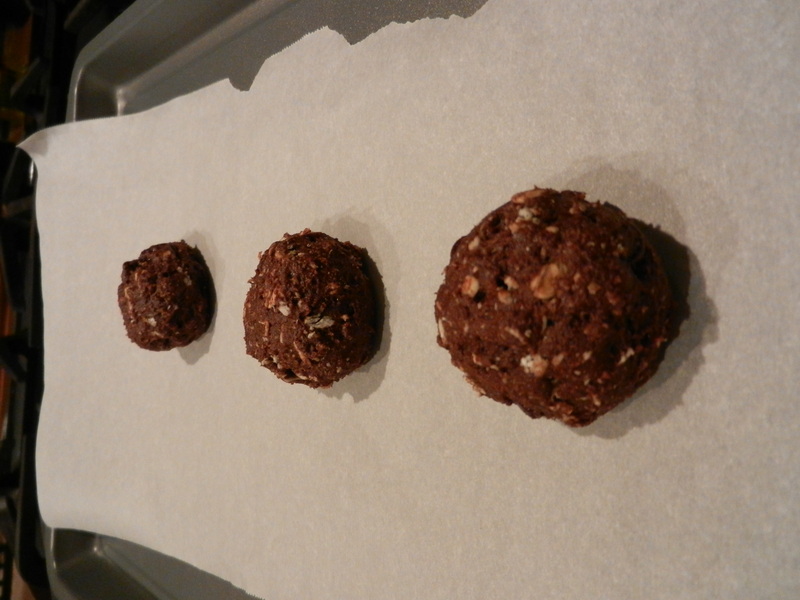 I took this cocoa cookie recipe, and revamped it. These are cookies that you don’t need to feel guilty about. They are low fat, are made with whole wheat flour, and are fairly low in sugar (c0mpared to other chocolate chip cookies). Check out the recipe. In medium bowl combine flour, oats, baking soda, and salt; set aside. In a large bowl, use electric mixer to cream together oil, yogurt, sugars, and cocoa powder. Beat in egg whites and vanilla. Add flour mixture, until combined. 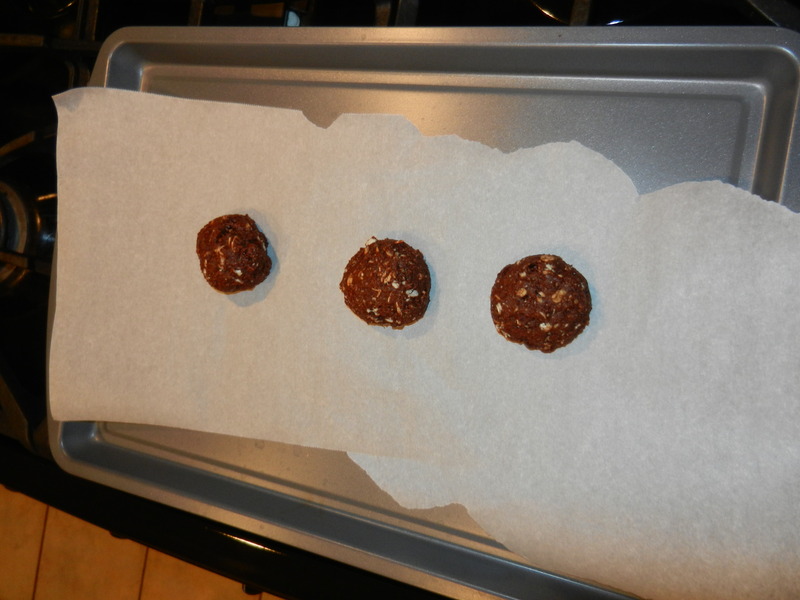 Use a tablespoon to drop dough 2 inches apart onto baking sheet covered with parchment paper. Bake for 9-11 minutes or until almost set. Remove, let cool. ENJOY. 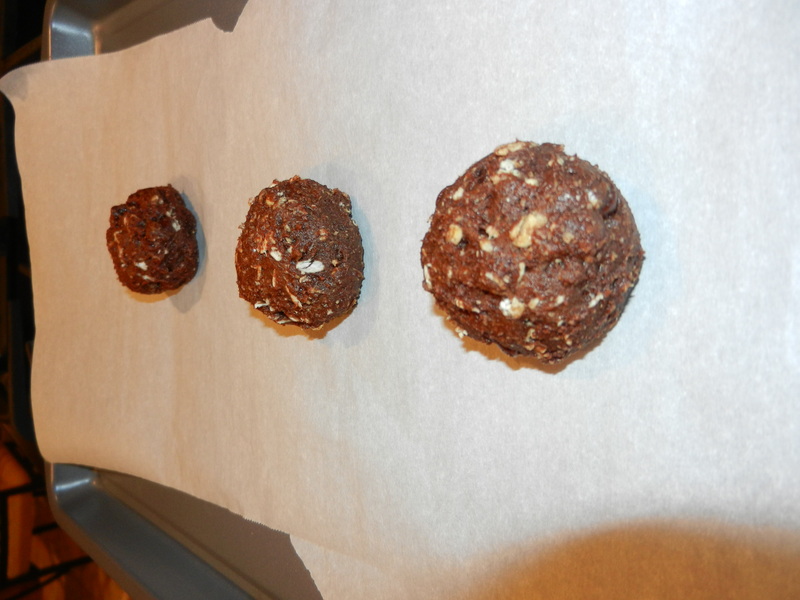 These cookies are not super sweet but they do a great job satisfying any chocolate craving you may be having. I decided to freeze the majority of the dough and then I will just be able to bake up one or two cookies if I get the urge. 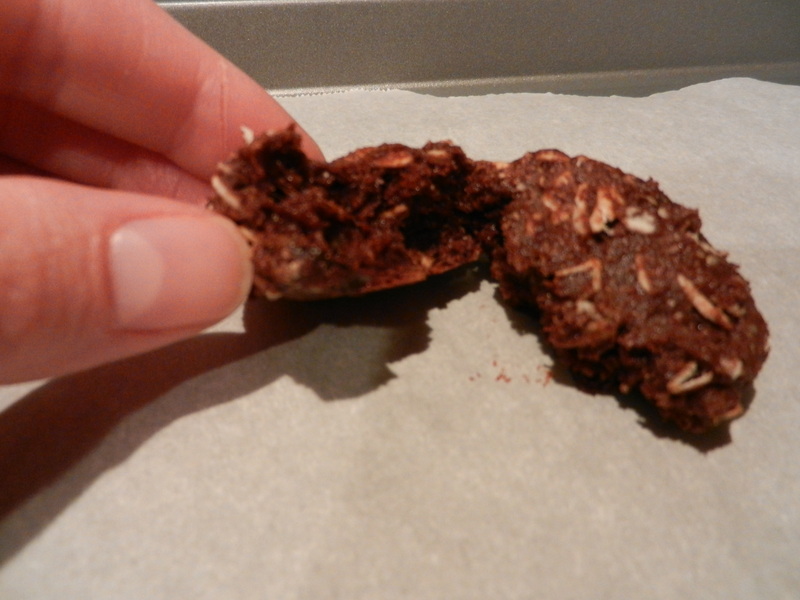 I adore warm right out of the oven cookies when the chocolate chips are melty and gooey. 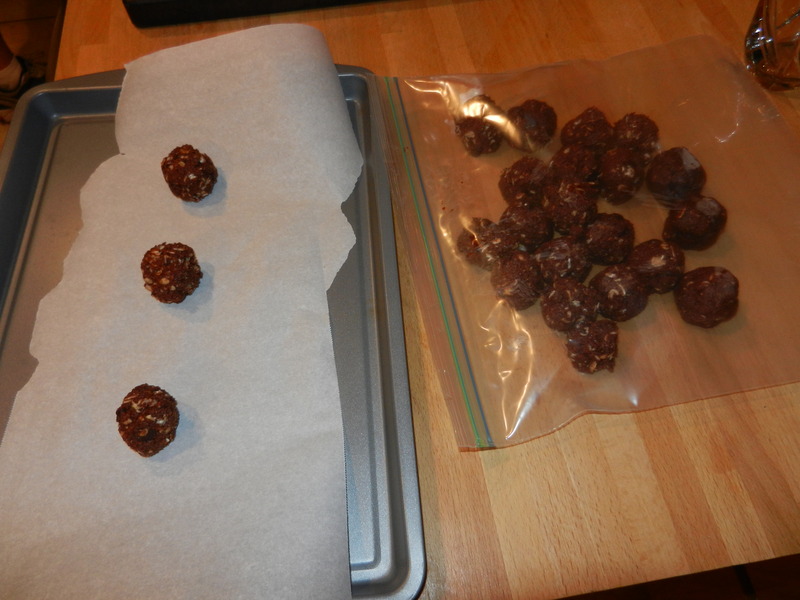 This entry was posted in Dinners, Home Life, Recipes, Sweet Treats, Training and tagged chocolate, cookies, FAGE, Half Marathon, Oatmeal, Running by Melanie. Bookmark the permalink.